IRCTC levy any registration charges for opening Rolling Deposit Scheme..? Rs.250/- is charged as registration charge for opening Rolling Deposit Scheme (RDS) which can be redeemed against the tickets booked by the users. 1. Clear Trip Travel Services P. Ltd.
3. Make My Trip India Pvt. Ltd.
5. Yatra Online Pvt. 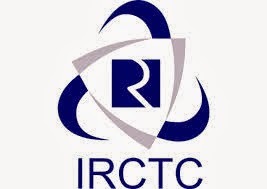 Ltd.
You have share very informative article having detail information of irctc registration simply and enjoy trip.